At the Wheeler Firm, you’ll find an experienced legal team that is aggressive, knowledgeable and honest; a team who is proud of our reputation for treating every client with the dignity, respect, and attentiveness they deserve. 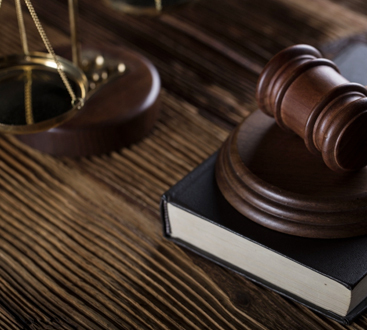 Fighting for the rights of our clients through every step of the process, we strive for a speedy, thorough, and ironclad results that suit the long-term needs of each individual. Andrew has built a reputation as being a strong representative for his clients. Relentlessly pursuing the best possible outcome for each of his clients, he works diligently to help each client move confidently through difficult life transitions and legal matters. 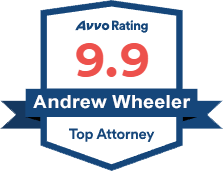 Andrew D. Wheeler is licensed to practice law in both Florida and Alabama and has practiced law for over 15 years. He believes clients need representation from attorneys who have a thorough understanding of their specific legal issues. Therefore, after beginning as a general practitioner, Andrew focused his career on family and elder law and he has represented thousands of clients in family and elder law matters over the course of his career. Prior to beginning the practice of law, Andrew attended the Cumberland School of Law at Samford University and graduated with a Juris Doctorate of law in 2002. While attending Cumberland, Andrew was active in numerous legal writing opportunities, won awards for legal writing, and was selected as a member of the Cumberland Law Review. Andrew was then accepted to the Cumberland Study Abroad Program and attended Durham University in Durham, England. Andrew studied comparative and international law, the European Union, and intellectual property law before returning to the United States. In his final year of law school, Andrew worked as a research assistant and intern for Chief Magistrate Judge John Ott in the Federal District Court for the Northern District of Alabama, assisting in the drafting of judicial opinions and the administration of court proceedings. His 15 years of experience has established Andrew Wheeler as one of the most respected family law attorneys in Okaloosa and Walton County. Offering the knowledge and skills that only years of education and experience can provide, our entire team is committed to ensuring a quick resolution to your legal issues. Contact The Wheeler Firm for an initial consultation today.